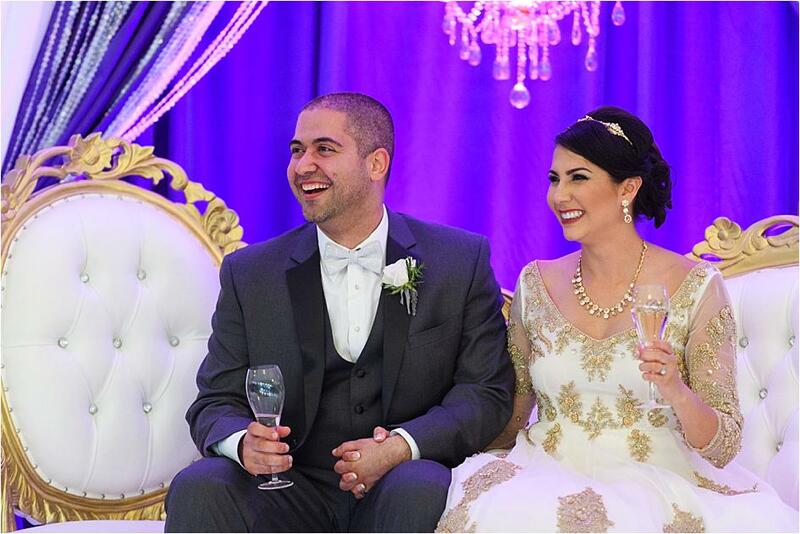 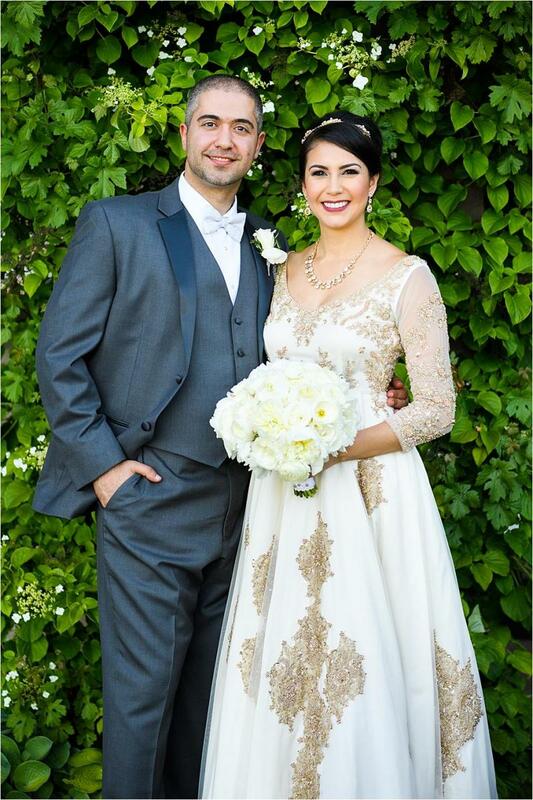 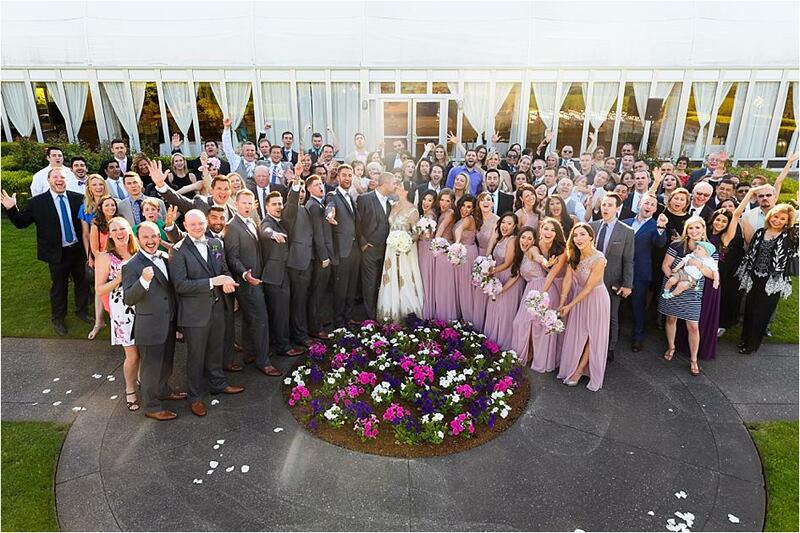 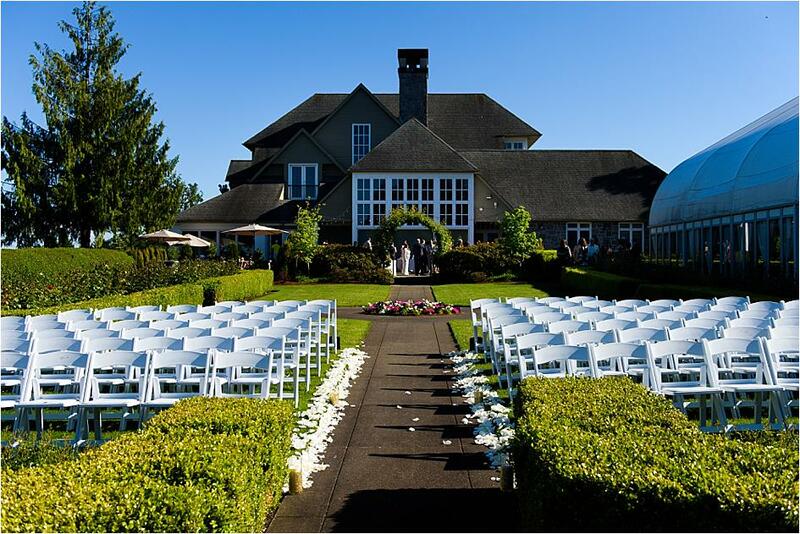 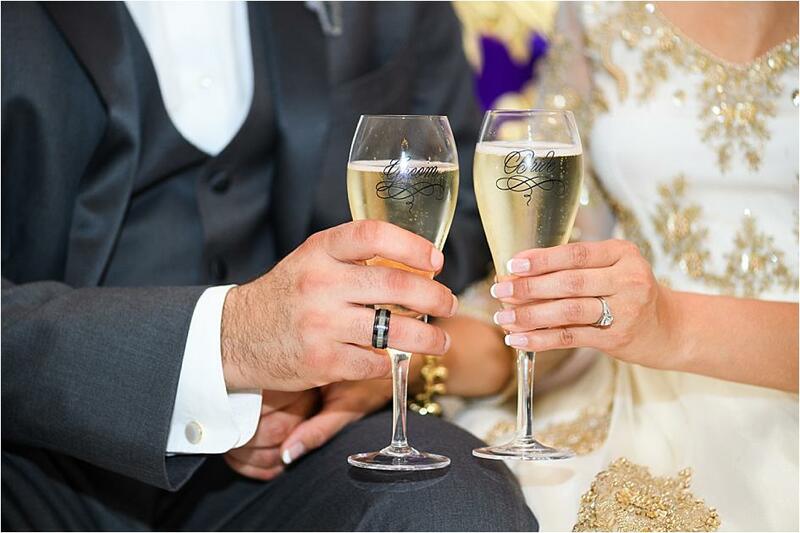 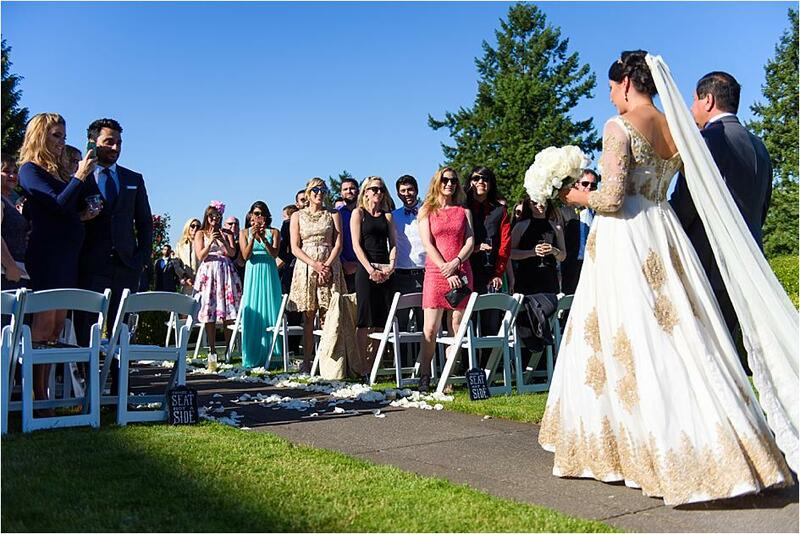 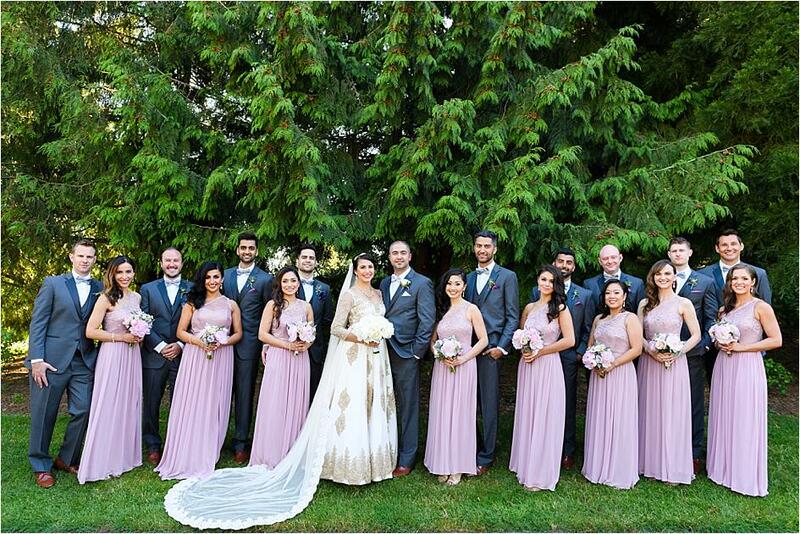 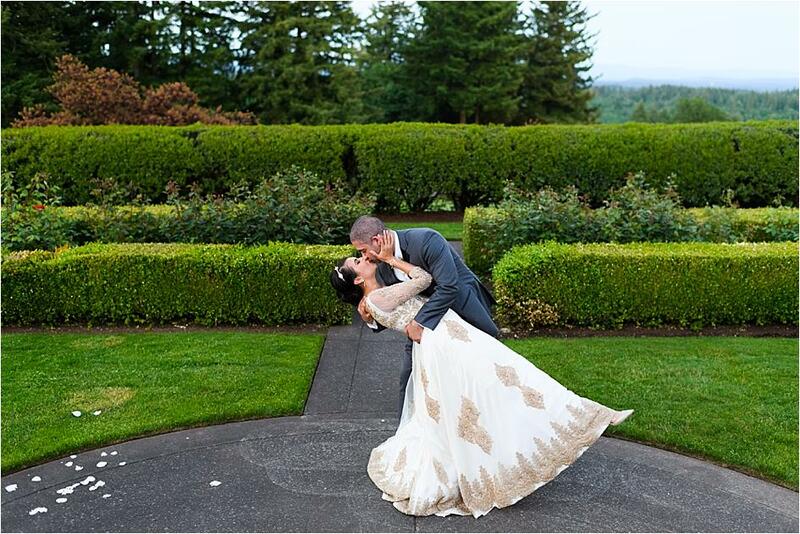 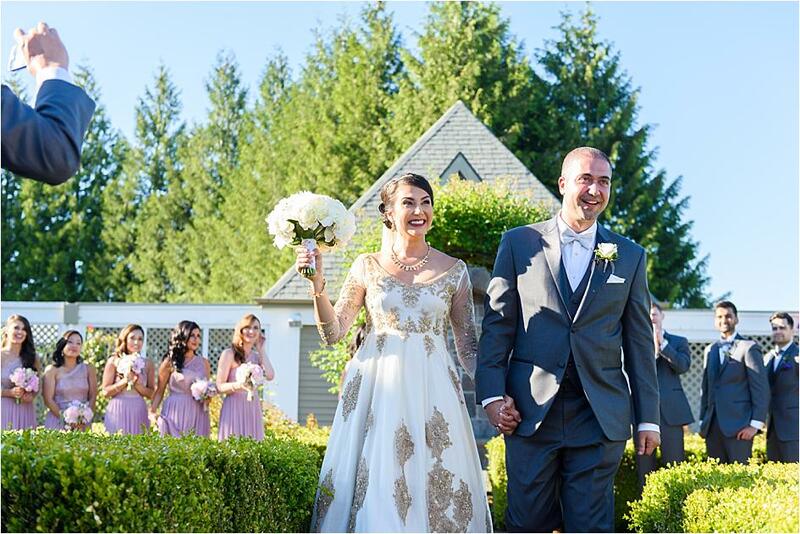 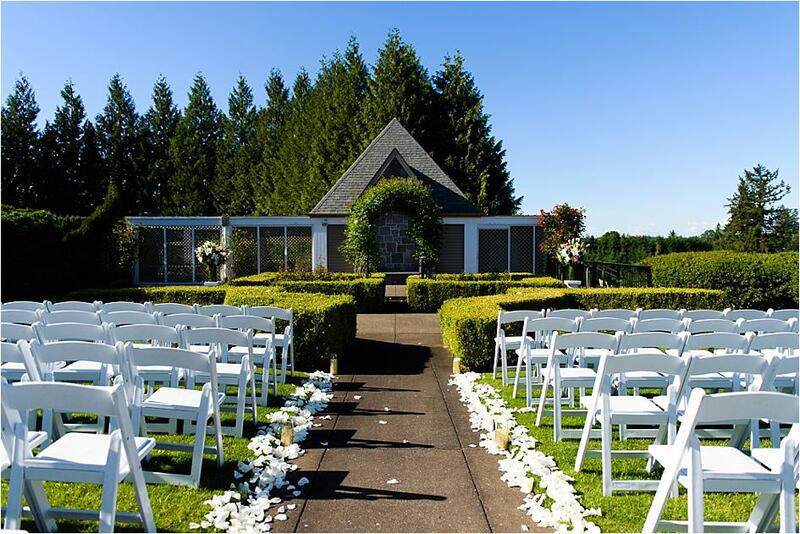 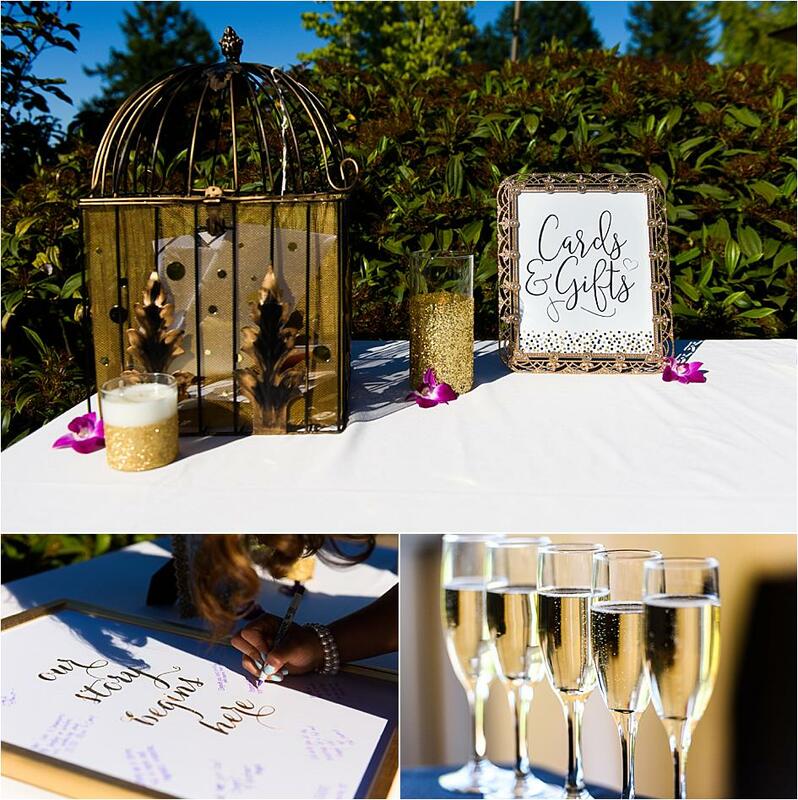 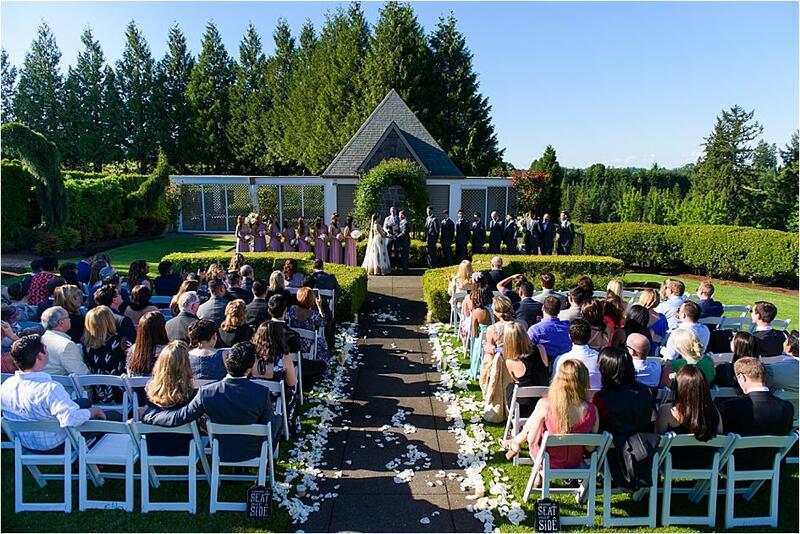 Georgina and Boz's stunning wedding affair at the Oregon Golf Club in West Linn incorporated a beautiful display of Middle Eastern elements to share the groom's culture. 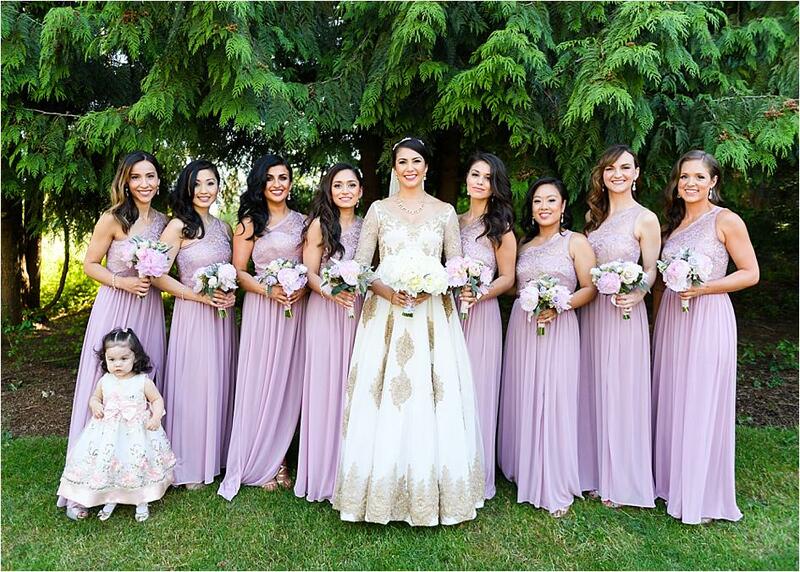 Beautiful shades of purple and pink married with pops of gold and blush provided the prettiest palette for the big day. 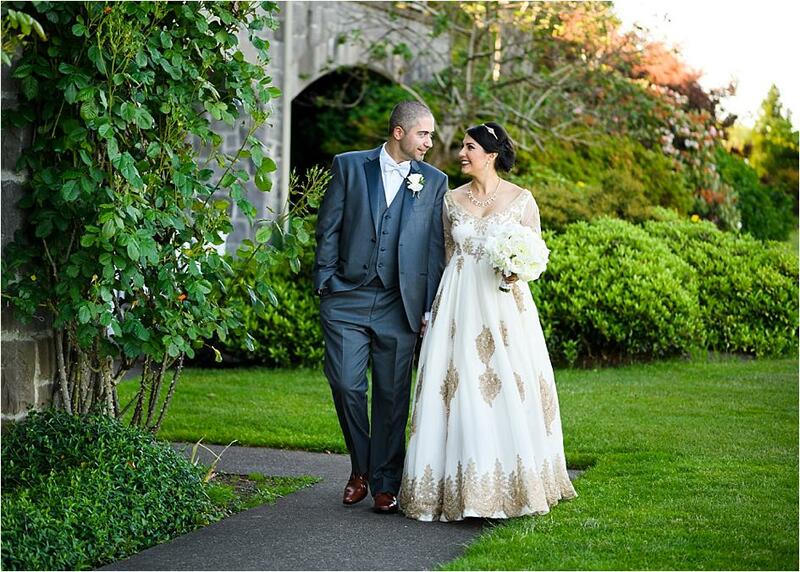 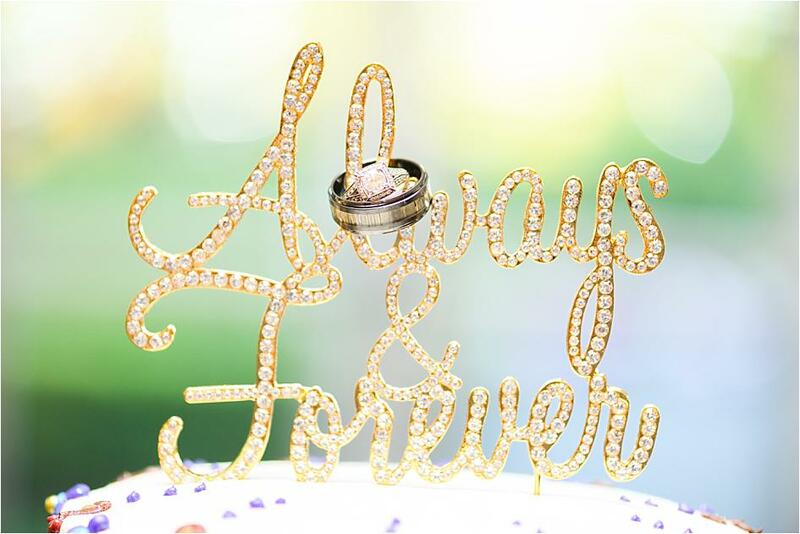 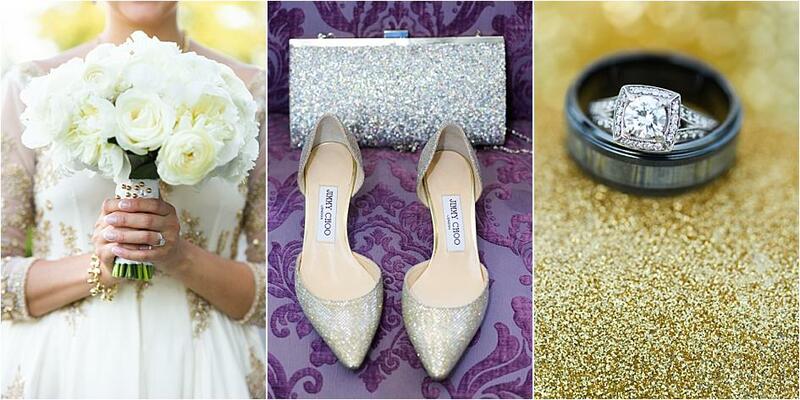 The duo tied the knot during a gorgeous outdoor ceremony, evoking an incredible fairytale vibe. 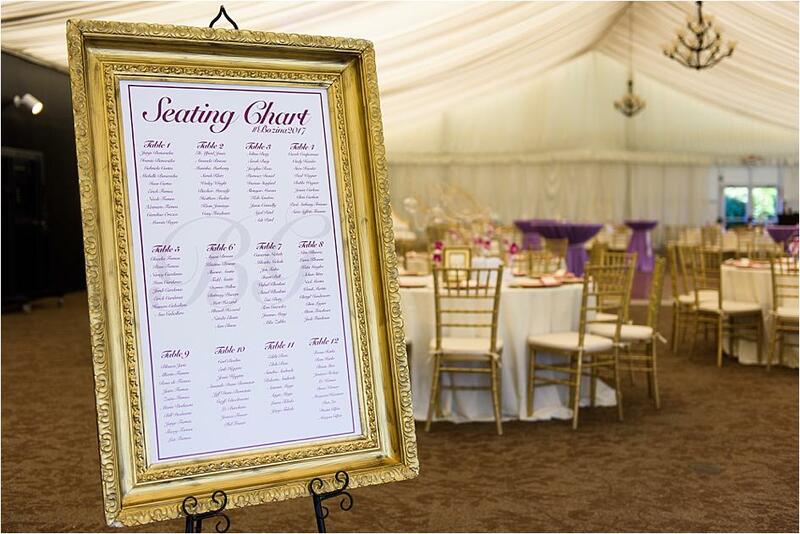 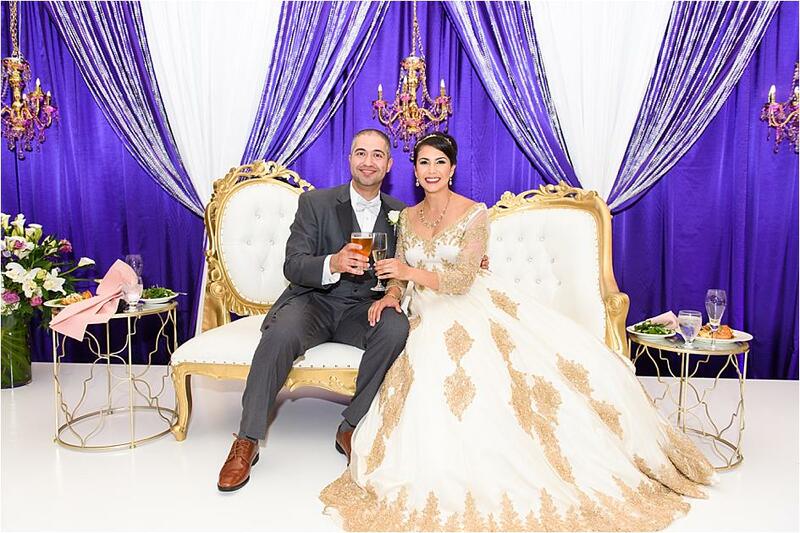 Guests made their way to the reception, where Georgina and Boz sat on a golden couch in front of a spectacular purple, pink and crystal curtain backdrop. 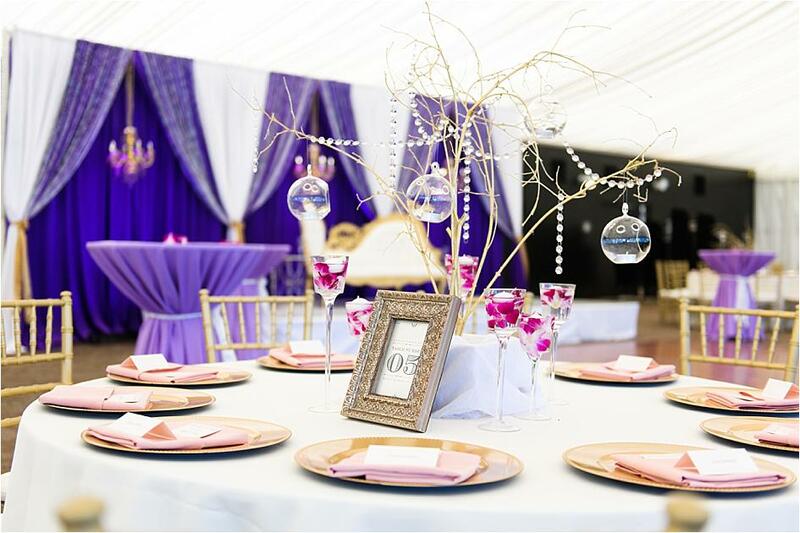 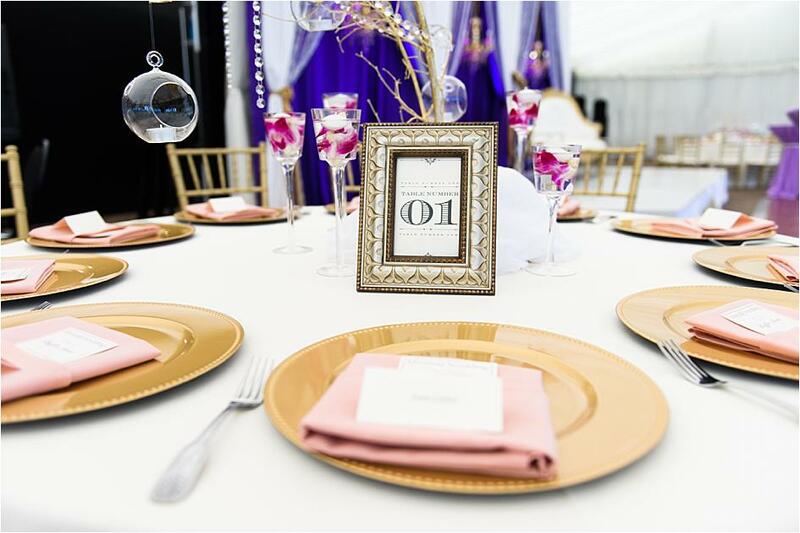 The guests' tables were graced with beautiful place settings and featured amazing tree centerpieces complete with romantic candle lighting. 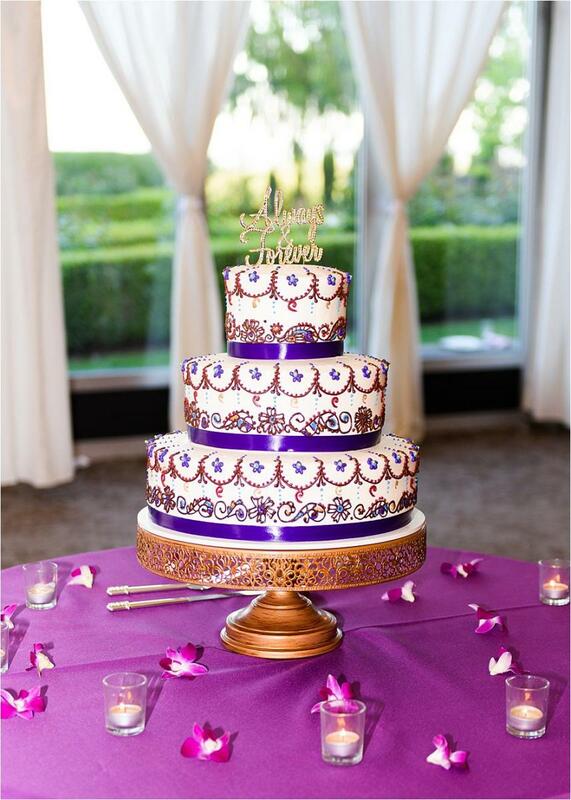 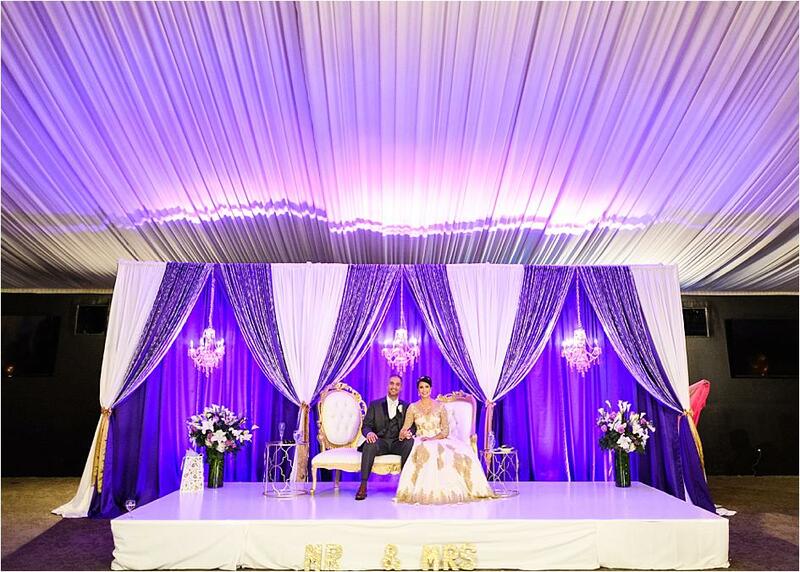 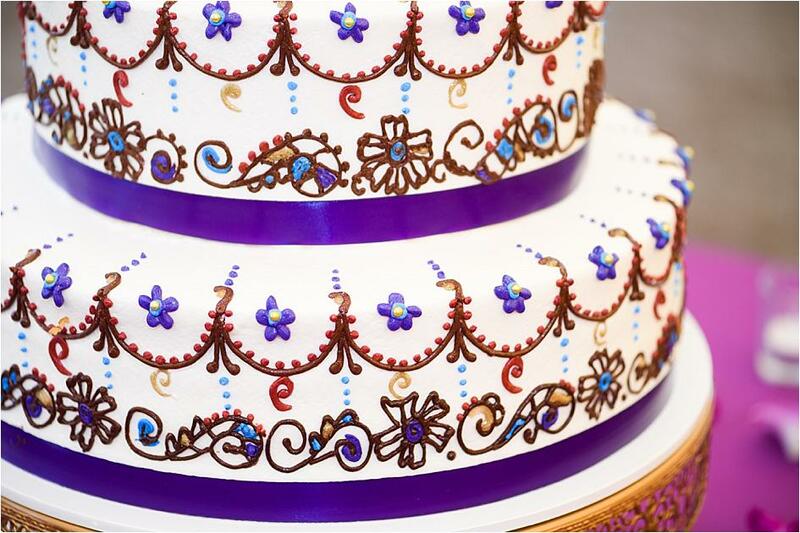 The one-of-a-kind wedding cake showcased a breathtaking henna pattern in vibrant hues of purple and blue. 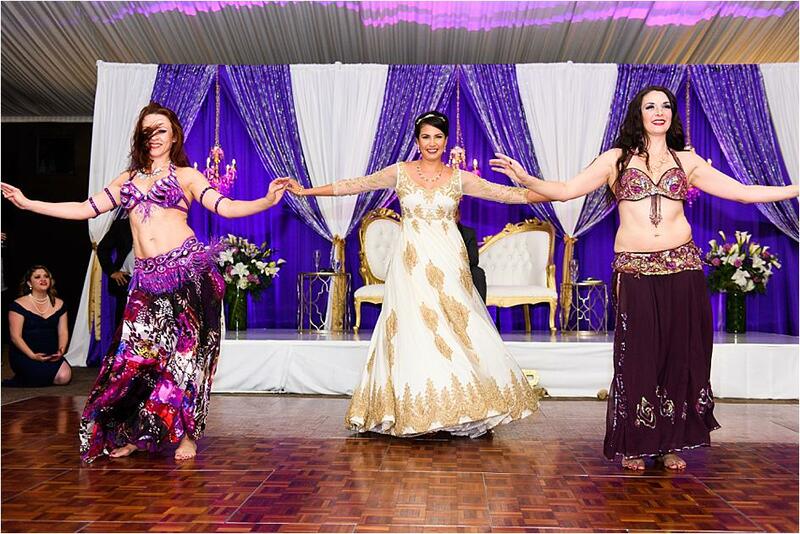 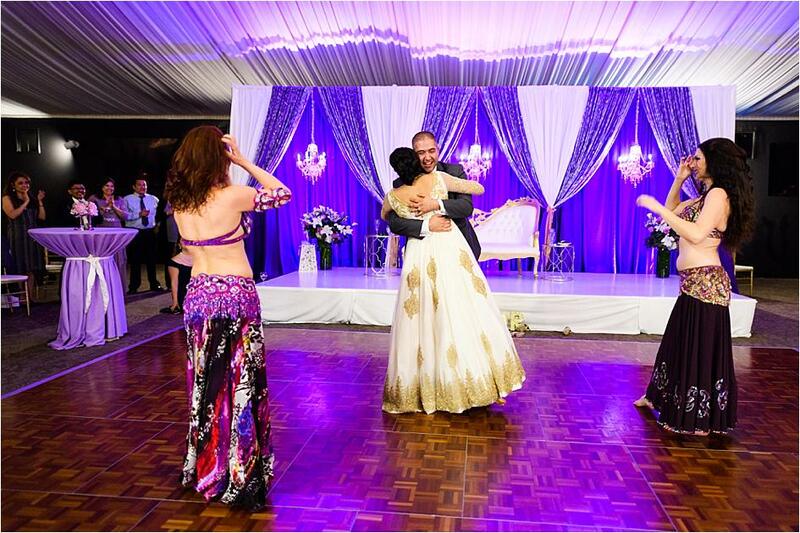 The bride and groom celebrated with family and friends, and the night closed with belly dancers surprising the groom and guests before the bride jumped in for a choreographed dance. 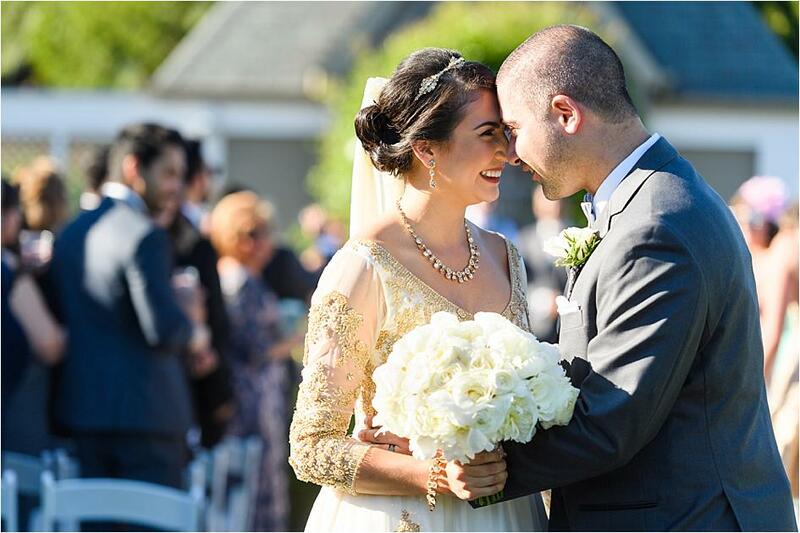 "The cherry on top," says Georgina, "was a room filled with family and friends who love and support us very much."